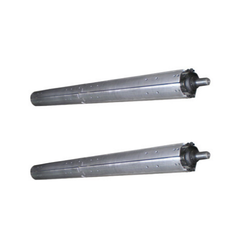 The Aluminum Slat Expander Rolls offered by us are used for wrinkle removing on coating machines, which are available in different length and standard diameter as per the requirements of our clients. Bow Expander Spreader Rubber Roll offered is also known as curve bar expander, banana roll, spreader roll, bowed roll, wrinkle removing rolls and can be offered with the support of hard chrome/rubber surface finish. Further, we can also offer these rolls with the support of Teflon covering to match up with the demands for non-sticking applications. Some of its features include suitable for use in applications where speed is more than 300 meters per minute; in case of higher speeds there is provision for bigger diameter rolls; come with proper lead-in and lead-out distance; comes with bow angle adjusting worm-worm wheel gearbox with the support of hand wheel and counter pedestal bearing block. Aluminum Slat Expanders offered to come in quality construction finish and finds usage in wrinkle removing on coating machines. 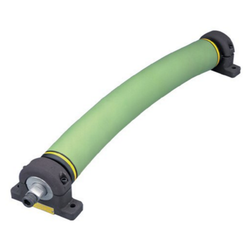 Here, our expertise lies in making these available in any length and standard diameter options including choice of bigger diameters as per specific requirements of the customers. Some of its features include can be provided with plain/serration surface as per the gripping requirements; can be developed in OEM specifications as per plain/serration required on the surface, application temperature, web material and other parameters; superior ball bearing support for soundless working. Particularly suitable for slow speed machines like coating cloth coating machines, flat bed printing machine, artificial leather cloth before batching machine etc. The roll is fitted with cam mechanism fitted with on bearings with left & right slats from the center. For longer width three slats are fitted and middle slats are fixed to avoid V shaped wrinkle-removing action. Available with foot mounting pedestals. 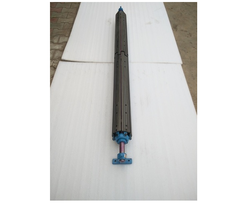 Aluminum Slat expanders are used for wrinkle removing on coating machines which are available in any length. Particularly suitable for slow speed machines like coating cloth coating machines, Flat Bed Printing machine, artificial leather cloth before Batching machine etc. Slat Expander Roll offered comes with the support of wooden slat with felt covering as well as in options of Aluminium slats in different finish diameters as well as in any working width.Some of its features include roll coming fitted with cam mechanism for consistent and smooth performance; for longer width three slats come fitted with fixed middle slats to avoid V-shaped wrinkle-removing action; available with options of foot mounting pedestals; provides for soundless working.